This is Proto's Ultimate Fused Form. He's already a fused being, originally as a mouse/rat to become combined w/ Cat's Wrath to be a cat-mouse/rat hybrid. 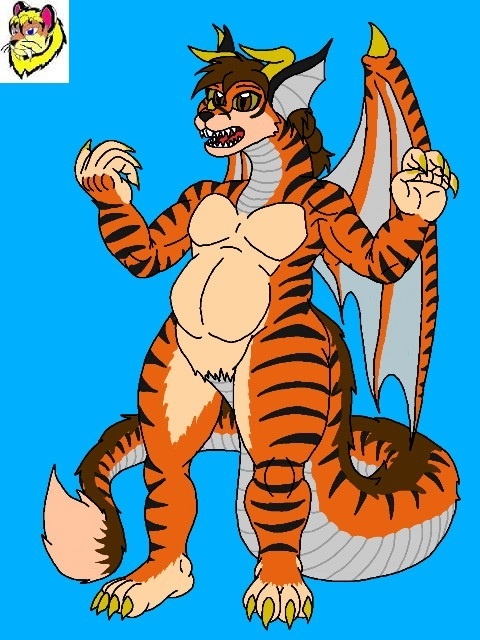 This form, he's also a mix of the other parts of his/my birthday before; snake, dragon and tiger. So in this state he has a lot of capabilities, like one being able to stretch his neck out like a snake striking w/ "lightning speed" and more.